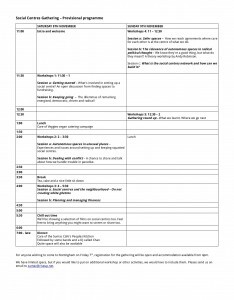 This entry was posted in General on 15/11/2015 by Social Centres Gathering. This entry was posted in General on 30/10/2014 by Social Centres Gathering. The idea for this gathering has been floating around in peoples minds for a long time, but finally started to take shape at Radical Routes summer gathering this year. 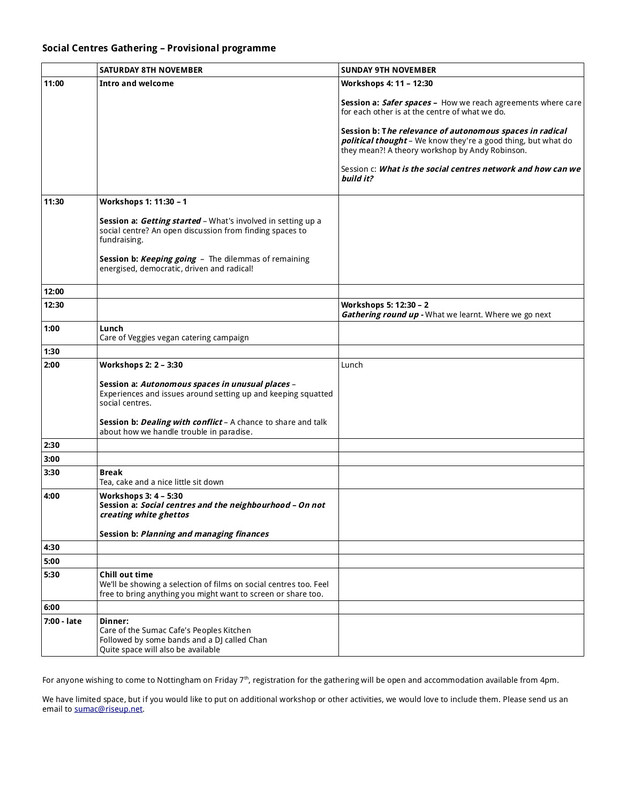 Ideas for the gathering, such as ideas for workshops (below) are the ideas of a small group. But we want this weekend to be created by all who participate; a space that is filled and held by everybody. 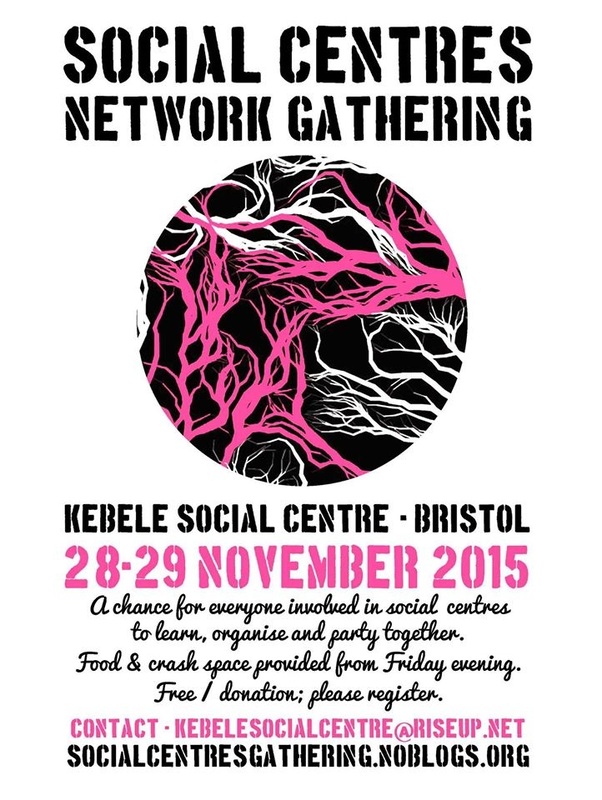 If you want to come to the gathering, then we would love your contribution to making the event happen now. If you would like to run a workshop, have an idea for a workshop, would like to bring other things to the event (such as films to screen, music to play), or would like to help organise the event in other ways, please get in touch. 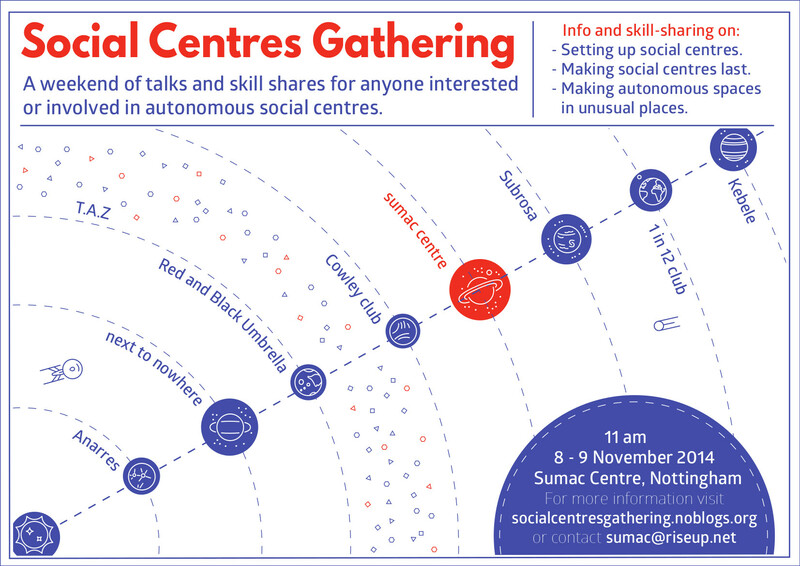 – What is the Social Centres Network, how can it work best today and what decisions can it take? – How can we support people in cities where there isn’t a Social Centre or where a Social Centre is struggling to stay open. – What possibilities and advantages might there be in a European network of Social Centres or twinning our Social Centres? and who we don’t in our network? – What could the networks involvement be in solving different disputes that may arise? This entry was posted in General on 17/10/2014 by Social Centres Gathering. Sleeping spaces are limited, so if you’re coming please contact us. If you have particular needs please get in touch so we can accommodate you. The space is not ‘officially’ wheelchair accessible but we do have a lift and wheelchair users are able to use the space, please get in touch in advance if you have any concerns. Food will be provided by Food From Nowhere, Next To Nowhere’s café collective. There will be a small donation asked for on the door to cover food for the weekend. This entry was posted in General on 26/09/2014 by Social Centres Gathering.